A key partner of Naylor is the British Board of Agrement (BBA), a leading international supplier of testing, inspection and certification services. 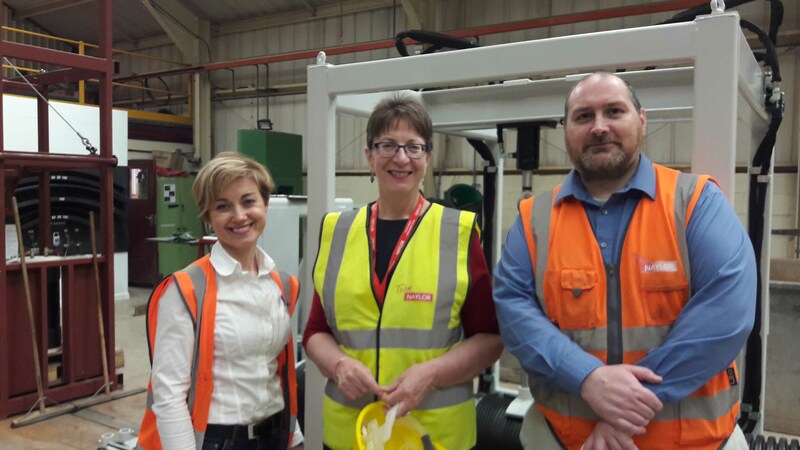 Naylor's Wombwell and Cawthorne sites were therefore delighted to welcome BBA Chief Executive Claire Curtis-Thomas, who was able to see the company's manufacturing processes and testing procedures at first hand. Claire's visit was hosted by Naylor Quality Manager Andrew Cliff. The photo shows from left: Kirsty Ibbotson – Quality Assurance Manager, Clare Curtis-Taylor – BBA Chief Executive and Andrew Cliff – Naylor Quality Manager.